It’s a dark and stormy night… and your only defense against the ghosts and ghouls is your trusty flashlight. Creatures of all kinds surround you, coming from all directions. You can use your flashlight to protect yourself… Just don’t turn your back to the things that go bump in the night! In this spooky top-down arcade game, you rotate your character to aim your flashlight at various monsters until they disappear into a puff of smoke. 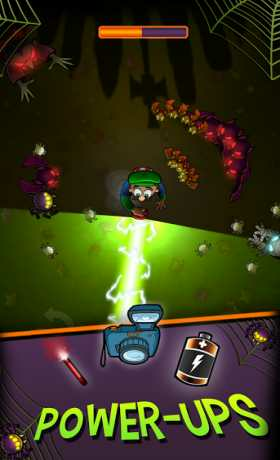 -Use your flashlight to fend off the creatures of the night! 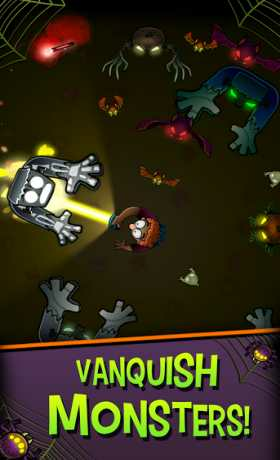 -Activate Powerups for supercharged attacks! 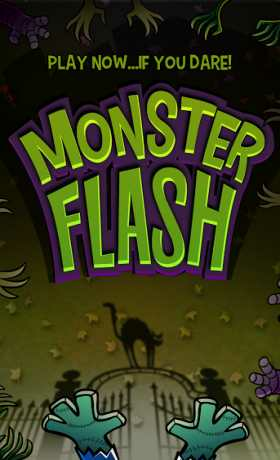 GHOULS EVERYWHERE AGREE this game is a ghastly good time!